Email marketing is constantly touted as a must for marketers. For good reason, too. But how do you improve your open rate? Research indicates email is 40 times more effective for acquiring new customers than Facebook or Twitter. And, here’s a whopper, another study says email marketing has an ROI of 3,800 percent. With these numbers, we all want in. Research indicates email is 40 times more effective for acquiring new customers than Facebook or Twitter. A simplified path to email return on investment (ROI) is something like this: grow list > increase open rates > increase click-through rates > drive conversions. But how reflective of reality is a stat like “40x return” for most marketers? For my company, email has been (and still is) a key facet to our growth, which is why I devote an entire chapter to it in my complete 10x Marketing Formula. While there are fantastic tools and tactics available to help us marketers improve our list signups, monetizing it is another matter. Even though the average employee spends 13 hours per week using email, inboxes are still busy, highly competitive places. Thanks to Marie Maerz from Shutterstock for allowing me to use this image. So, if you’ve built an email list and would like to crank up the ROI, let’s begin in your user’s inbox and talk email open rates. After all, about half of all recipients decide whether or not to open based exclusively on the subject line. According to Mailchimp benchmark data, the average email open rate across B2B industries is 21.8 percent. And the average click-through-rate is 2.62 percent. So, if you have an email list 10,000 strong with average open rates, 2,180 people will open your email. Of those who opened, 262 will actually click on the links inside. Your open rates have a cascading effect. Five ways you can increase your email open rates by 541 percent — or more. Without opens, you won’t get clicks. Without clicks, you won’t see conversions. And without conversions, return will be non-existent. To increase opens, your primary tool is the subject line. No matter where your current rates fall, I’m going to share five ways you can increase your email open rates by 541 percent — or more. According to A/B testing performed by the email platform Campaign Monitor, subject lines with numbers saw a 57 percent better open rate than those without. The key to success with this formula is the number you use. If you are suggesting effort a reader needs to expend (like steps in a process for instance), then using a low number works better as it suggests the process is quicker and easier. However, if you are providing value to the reader (like a number of ways to increase email subscribers) then a higher number will work better as it increases the reader’s perception of the value your email will provide them. Character and word count matter because there is limited real estate available for your subject lines. Typically, desktops show roughly 60 characters and mobile devices about 25–30. So, think through where your email subscribers will first see your email. Will it be on a smartphone or a desktop? In a study called, “The Art and Science of Effective Subject Lines,” Return Path found that emails with subject lines between 61–70 characters were read most, at a rate of 17 percent. Our team is obsessed with getting awesome results from email marketing and automation. So, we run constant A/B tests. An A/B test, or split test, is a method of comparing two versions of the same content against one another to analyze which performs best. A/B testing tells us a lot about what works for email subject lines. Thanks to Andrii Symonenko from Shutterstock for allowing me to use this image. Through six A/B tests, AWeber found out how not to write email subject lines. They learned clarity trumps creativity, with the former resulting in 541 percent more opens. A/B testing subject lines also helped David Huffman generate $100,000 over a six-week email campaign to re-engage cold leads. For example, do you want to know if including a number in your subject lines increases opens? Are you testing for emojis? Or even the effectiveness of capitalization? Define what you want to learn, then split test accordingly. If you’d rather not spend your time counting categories and split-testing emojis, I get it. This can feel like a tedious chore. However, as Mailchimp concluded after analyzing 24 billion subject lines, with so much riding on so few words, figuring out what inspires more opens may be worth thousands in revenue. We’ve also created a free tool called the Email Subject Line Tester that’s built on real data from analysis of millions of subject lines. A tool like our email subject line tester can help improve open rates. The tester knows all of the mechanics proven to help you capture interest in busy inboxes, and it’ll score your subject lines in seconds. The bottom line is email marketing can be a powerhouse of ROI. From better lead generation and higher lifetime customer value than social media, it’s worth the investment. If you’ve built a list, get better marketing results by increasing your open rates. Your Blueprint For Creating “Competition-Free Content” That Stands Out And Gets Results. 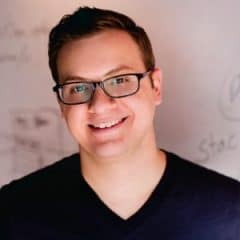 Garrett Moon reveals the exact marketing formula he used to grow his startup CoSchedule from zeroes across the board to: 1.3M+ monthly pageviews, 250k+ email subscribers, and thousands of customers in 100 countries…in just 4 years. You will learn to overcome a lack of time, struggling to produce content, an inability to engage your audience, and so many more marketing roadblocks. If you think marketing success belongs only to elite geniuses or those with huge budgets, think again. 10x marketers achieve 10x growth regardless of their limitations. This book is about finding the strategic shortcuts to get you to results fast and short-circuiting the path to jaw-dropping growth.